SSC has updated the Status report Today (10 July 2017). 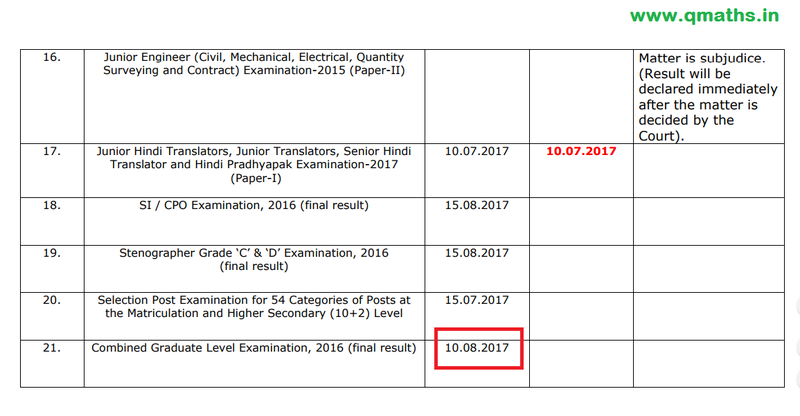 The important part of this status report is SSC is going to declare JHT Paper-1 result today as it was mentioned in tentative date. is is also important to note that there is no change in the date of SSC CGL 2016 final result declaration.